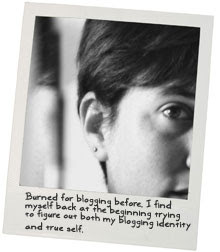 I was on the receiving end of some pretty nice words from one of my favorite mommy bloggers over at OMG I'm a Mom. Her daughter, Mia, is a bit younger than Garrison and it has been so comforting to know that whatever funny bits about mommy-hood I have failed to find the time to write down for posterity, are being accurately, and funnily, recorded over at her blog. Oh how I wish I was the baby whisperer, in which case I could get my lovely lad to nap...sadly, that is sooooo not the case. The sleeping through the night thing we sort-of lucked into with our consistent routine and the fact that we have a big, formula-fed baby who loves to sleep at night (probably because he hates napping during the day so much). I remember your email from so long ago and I truly think that although my advice did end up working for you, the true value was being able to talk to another mom and know that you could say what you needed to say without judgement and receive an answer in return with love and understanding. At least that has been the true value in the conversations I have had with other mommies regarding all the lovely things Little G is or is not doing. The truth is, if we are addressing the non-mommies here with this blog, that not everything works for every baby. And not every method needs to be followed by the book. But every parent needs to believe in themselves and know that by the simple act of loving their child (which in actuality is not that simple when they are screaming bloody murder at you) they are automatically a wonderful parent. One of the things I have been blessed with living here in an urban area is the wealth of resources available to Little G and I to get us out of the house and to support us. From just three weeks old we have been attending a free drop-in class every Monday morning at the hospital where he was born. That same hospital also has a free breast-feeding support drop-in class, and a free drop-in class for kids slightly older than him who are moving a bit more. Additionally, we took some new-mommy classes at Isis Maternity; a store here in the Boston area where we also took our prenatal classes. While these classes have a fee, they ensure that you meet with the same mommies every week and that the age ranges of the children are all within a few weeks of each other. I can't even begin to describe how important the instant bond I had with the women and babies in our classes lifted me up and carried me through those first few months. We also go to a mommy group once a week at the church I attend and childcare is available so I have been able to meet with other mothers and have intellectual and emotional conversations (as well as some killer refreshements) without having to worry about Little G.
Lastly, there is a listserv here in my area of Boston that I belong to, and from what I know it is one of many for this area, where parents can ask all sorts of questions and get all sorts of support...it truly runs the gamut. Everything from advice posts on sleeping, eating, schools, daycare, nannies, temper-tantrums, etc. to borrowing car seats for visiting relatives, or baby paraphernalia so that you can try it out before buying it; to community notices about playground maintenance or lost-and-found or even off-topic items like are-there-any-beach-towns-in-CT-with-an-actual-beach? They even have weekly gatherings at a local community center for people to have an outlet to go to. These resources, along with my friendships with other mommy bloggers that I know from my days as Mrs. Corn over at Weddingbee, have been the glue that have held my life together over the past six months. So it was downright shocking to me when I went to the Cumberland Valley area, in South Central Pennsylvania for a month and couldn't find a single mommy/baby support network/program to save my life! The only thing I found was a reading at a library for half an hour over 45 minutes away! Now, I am sure Central Pennsylvania has these support networks, but they really aren't easy to find. And it makes me wonder how it is that the place I identify most with down-home, family value driven communities doesn't have a SEARCHABLE network of parent support groups? It really is something to think about, because while I found myself consumed with things to do while visiting the area, I am not sure I could make it on a day-to-day basis without some-sort of parent support network. And it makes me so incredibly grateful for the resources that I do have here in Boston. Whether it be the classes we have taken, the drop-in groups we have attended, the posting of questions on a listserv or the ability to reach out to internet friends going through similar challenges, Little G, my husband and I have been fully supported as we transitioned from a couple to a family. A blessing that we hope all new families have the opportunity to have. What about you? Do you have the support you need in your community? And is it searchable? i live in the 'burbs...a move from the inner-city (which we loved but couldn't afford the space we needed when we expanded our tribe) which leaves a lot to be desired. no support whatsoever, which is hard for me, as i have no family. i raised myself. literally. i just turned 35, i have a wonderful spouse, a 16 year old (prev. marriage), a 2 and a half year old and an 8 week old...all girls. i'm a stay at home mum and wouldn't trade it for anything-but would LOVE a little support. or a chance to talk to another adult during the day. at all. ever. i'm breastfeeding for the 1st time, also...so i am intensely "all baby all the time" currently. the moms i've attempted to meet at the local playground seem to know each other, and do not care to acknowledge me usually. maybe its my tattoos...lol. we do not have much by way of $, and the area we live in (we rent) seems to thrive on discussing nothing BUT $. no fun, but the high school (reason for moving here) is great. I'm so glad I checked in on your...I love how little G-man is growing! That smile and oh my goodness, that hair! I've kind of fell away from most of my mommy blogs and concentrated more on the Bump...the baby section of the Knot. I have a local board that rocks and has helped me at my highs and lows. They're a great supplement to a wonderful husband and an awesome mom, and I've met several of them in person.